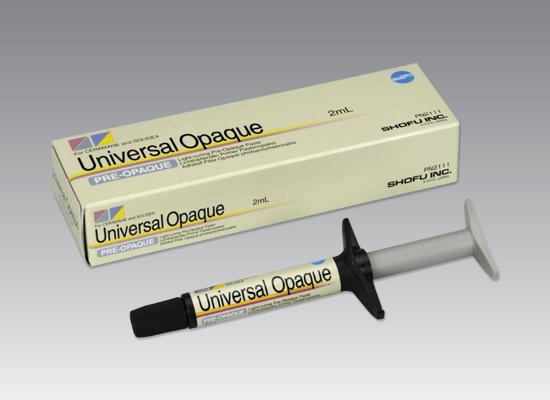 The light-curing paste opaques of the SHOFU Universal Opaque system offer excellent masking properties and bonding strengths to all commonly used dental alloys, due to optimised micro-fillers. The thixotropic properties make the pastes soft and flowable, they are applied very easily and quickly. This ready-to-use opaque system, consisting of one Pre-Opaque and 31 Opaque shades, can be used as a base for the reproduction of any shade of the Ceramage UP, Ceramage and Solidex composite systems.